January 22, 2017 January 19, 2017 Laura M.
Today I’ll be reviewing yet another game by Artifex Mundi, and, for once, it’s one that didn’t quite click with me. 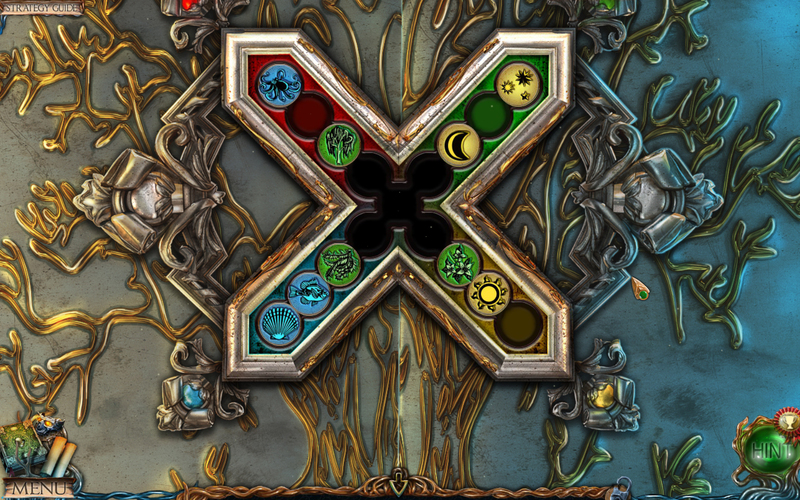 If you’ve been following my reviews for any amount of time, you know I love Hidden Object games, and that some of my favorite have been done by none other than Artifex Mundi. Even the previous games in the Nightmares From The Deep series I really enjoyed. However, for some reason I can’t quite pinpoint (and perhaps it was a mixture of several things that ended up having me dislike it), Nightmares from the Deep 3 didn’t quite make the cut for me. Sara is then tasked with saving her daughter from Jones and a dark pact, and helping lost souls along the way. This is the last installment on the series, and the most disappointing to me. The audio and video were of the expected quality: the character’s looks keep slowly improving as time goes by, the backgrounds are as beautiful and detailed as ever, and sounds and music keep improving as well. Like in other games of theirs, they added collectables in the way of seahorses and pirate cards. The difficulty of finding them was reasonable- they were sufficiently hidden not to be obvious, but not all extremely hard to find, making for a nice extra challenge if you are into collecting stuff, or are a completionist. They also made use of pets again. The dog, which is the choice pet this time, is truly adorable, and I loved that you could pet him, but compared to the reviewed Clockwork Tales, the functionality of it as other than a fetch tool and a companion was lacking. Some of the cutscenes were also lacking a little – the most memorable one was a boat rowing scene were the rows moved but there were no hands on them. Hey! Magic! For a company that likes to pay so much attention to details in most their games, this was… surprising. It’s such a little thing, but it takes so much away. The items you were to find were force-blended with the background, such as by just changing the hue from what it was supposed to be, instead of having it just be lost among a bunch of similar items; this was a rather cheap move, made it difficult in all the wrong ways, and I didn’t like it at all. Besides, I generally find the find-by-icture scenes a lot more tedious than the ones were you’re given a list. Puzzles, logic, and extras were of a decent difficulty and pleasant to play. I particularly liked having to play a board mini-game with one of the characters as way of moving forward, as it was different and inventive. Onto more technical aspects, I was having a lot of troubles this time around keeping it from crashing while alt-tabbing on windowed mode, which I never had a problem with before. As far as the story went, it was not too bad, but the whole Davey jones thing didn’t entirely “click” with me. The whoe thing felt longer than previous games, and not in a good way. I think it was more boredom that made it seem longer, than actual length in play time. 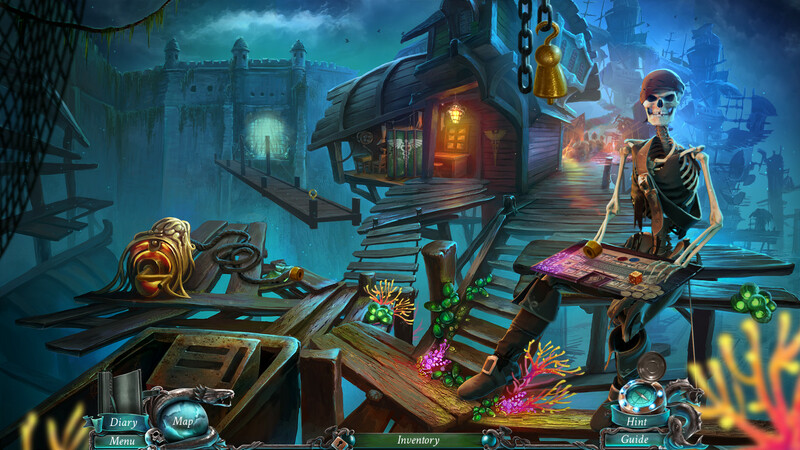 That said, if you love Artifex Mundi and hidden object games, and if you’ve played the previous two games of the series, Nightmares From The Deep 3: Davy Jones is a nice final installment to it and definitely a mus-have from a fan/collector’s point of view. For everyone else, there’s nothing overly special about this one, even if it’s not a bad game per se. Would I recommend it? I do think I would still recommend this to other HOG players. If you enjoy HOG then do yourself a favor and pick this one up as well. Chances are you just might like it. 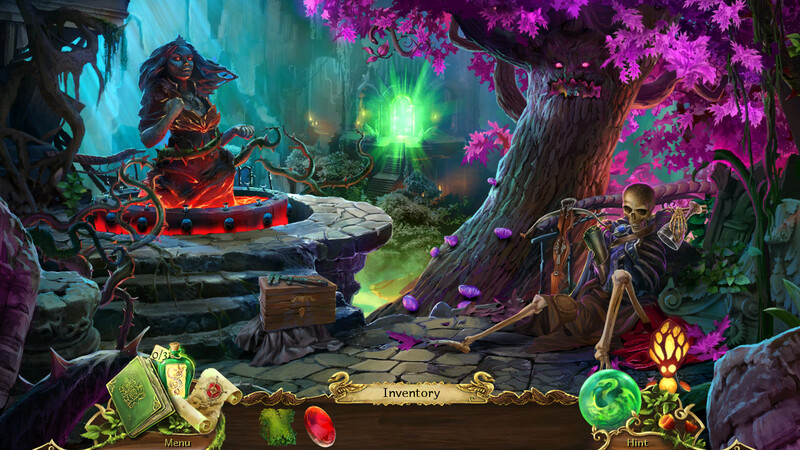 January 20, 2017 January 19, 2017 Laura M.
The makers of Grim Legends have done it again with yet another lovely Hidden Object game. Released in 2013, Artifex Mundi’s Clockwork Tales: Of Glass and Ink is not one of their earlier games… and yet, it kind of plays like one. Their dedication to making the games visually stunning and the stories compelling is quite amazing, and they’ve been known to listen to the community and improve on their games. That said, it’s still a far from perfect game, and it was one of my slightly least favorite ones from them. In Clockwork Tales you play as Evangeline Glass, a spy of sorts, a special agent working with Intelligence, who goes in the search of her friend, who had disappeared while on the field, working to find out what was causing some mysterious earthquakes. 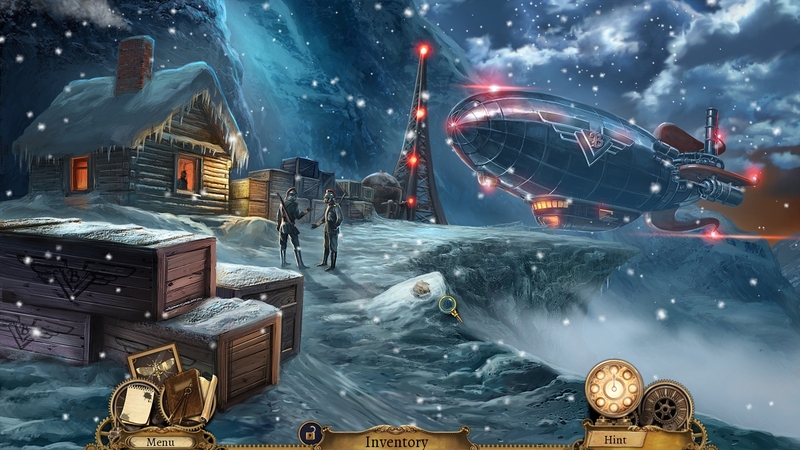 Like in most hidden object games, the story is nothing overly special, but I did like the touch of it being set in a steampunk world, as I feel we’re severely lacking in variation for themes. 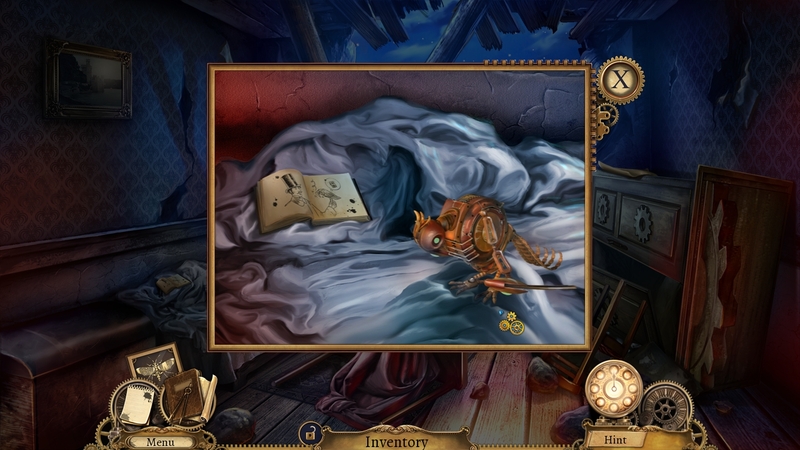 I do wish however, that the story was slightly less formulaic and not just with Artifex Mundi’s game, but with Hidden Objects one in general: Person disappears, other person goes fetch, illogical things happen, evil is shown, evil is defeated. There is advice in writing that says, “Show, don’t tell.” This is especially true of visual media such as videogames. The ending, then, failed this advice. It felt like it came to an abrupt halt, followed by a long winded expositionby Evangeline that didn’t explain anything of what was left unexplained, but that let us know that the bad guy sure got what he deserved! How? Why? We might never know. You have “steambugs” as collectable items. What was a bit different from their other games here was that, while in most games you have x goal amount for the whole game, this one was a goal amount per area. They were also far more noticeable than in other games, which made them quite easy to find. The art is decent, though as usual in their older games, some of the characters can look a bit creepy in some of the scenes when the body is drawn oddly. The backgrounds are detailed and gorgeous like in all their games – one of their strongest points. The usage of the pet system as more than just something to “fetch” items was a breath of fresh air, and I hope they will use it in more of their games. The access to the map was just a bit more annoying than usual, for you have to go into the notebook each time as opposed to directly clicking on the map; plus, each time you fast travel, the map doesn’t close itself. It’s nitpicking a little, I know, but I got used to the ease with which later games handled the map ad fast traveling. Say for instance (not a scene taken from the game, mind you, just for illustration purposes on what I mean) you have a pile of ash, and something underneath it. In real life you could use your hands, or whatever item lays close by, to poke and sift through the ash. 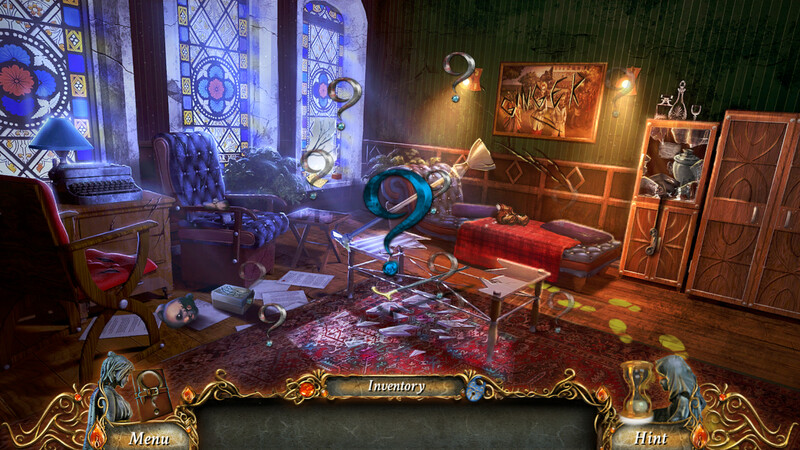 In a normal hidden object game you’d want some kind of brush, or cloth, or broom, even if you have a perfectly acceptable item for the job nearby. In Clockwork tales, you’d probably have to climb up a flagpole to rip down a flag to then find scissors to cut a piece from it so you can use it on the ash. What? That perfectly acceptable piece of cloth right next to the pile of ash? Oh, we can’t use that! Another thing I wasn’t as fond of, but this one was more due to personal preference rather than a fault with the game, was that the mini-games were a lot more often the switch and slide games, or the ones were pressing something requires you to do it in the exact order. It was like they had picked all the mini-games I like the least to put them in here. If you do like those games, however, then you will definitely have a better time playing this one than I did! Lastly, I found a small bug where my inventory would get stuck at the bottom when I finished some puzzles and returned to normal view, which required me to exit and enter the game again to unlock. Not game breaking, but annoying. Would I recommend it? Yes. Despite the downsides, I had fun playing it. 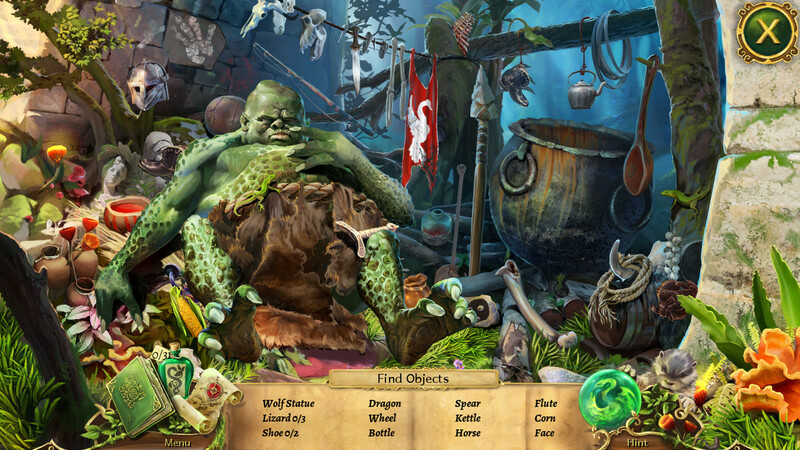 There are far worse hidden object games around, but there are also better ones from Artifex Mundi itself. If you enjoy puzzle games, this one might be worth checking out. 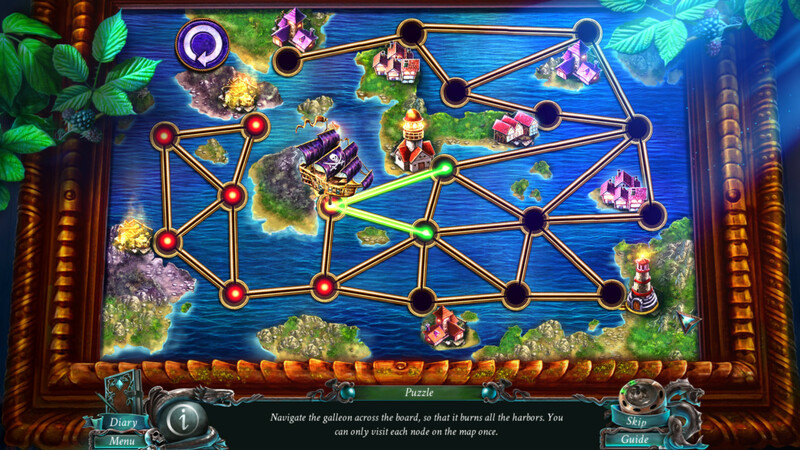 Despite a few shortcomings, Clockwork Tales of Glass and Ink provides a solid gaming experience. Those who enjoy casual hidden-object type gameplay will surely see some value in this title. 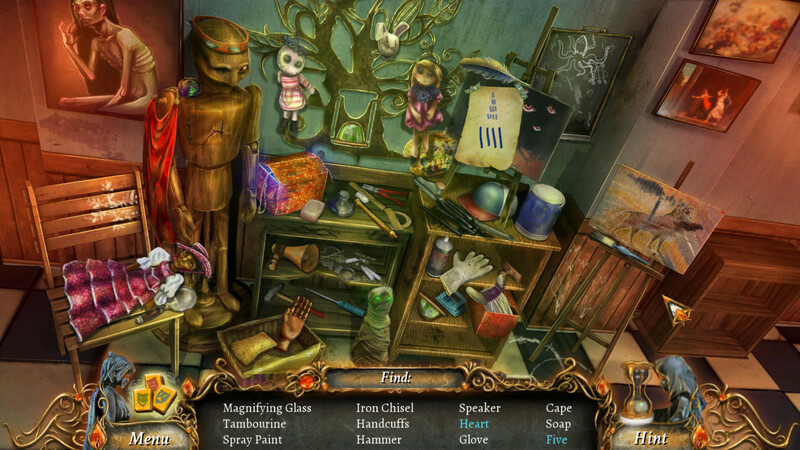 January 22, 2016 June 26, 2015 Laura M.
Hidden Object Bundle 5 in 1 is yet another series of Hidden Object games. As such, gameplay is conducted in fairly the same way as all the others: You get a first person view of scenes and you navigate with your mouse by pointing and clicking. 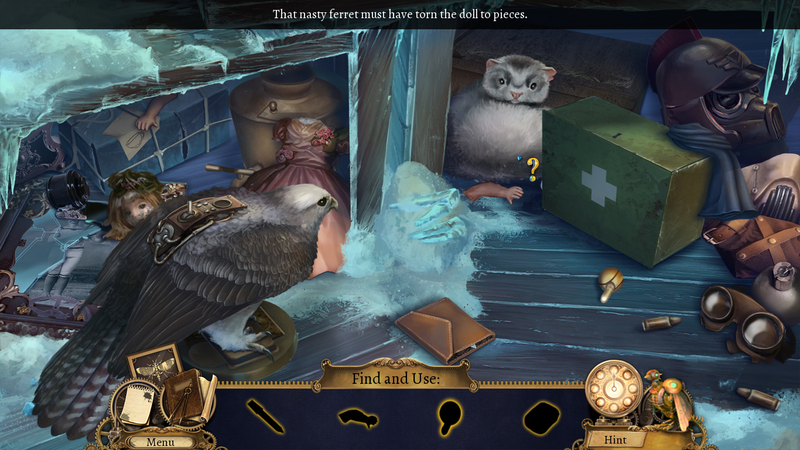 Through the story you will find hidden object games, puzzles where you need to move pieces, or find pieces, or find pieces and then move pieces, and so on and so forth. […] Welcome to Twisted Lands: Shadow Town, the first game in a new saga that will explore the emotion of fear. Guide the actions of a man as he searches a deserted island for his wife, who disappeared when their boat crashed on the shore. Along the way, gather hidden items, solve hair-raising puzzles and make one spine-chilling discovery after another as you draw ever closer to a shocking conclusion! Because they’re all mostly the same in general terms, I’ll be reviewing them as one item. The puzzles are extremely easy to solve. In fact, in one of them I was solving them so fast I kept glitching the game every time I would get the reward or need to move a piece – they would end up disappearing and I had to go back to the menu and back into the game to get the item. You can tell some of the games are older. The game play where you don’t have a decent map in half of them, the graphic design as well are easy indicators, some don’t even have voice acting (and trust me when I say: that’s almost a blessing lol). This doesn’t mean they’re bad, but it makes them challenging and more annoying as you need to backtrack several times to find your way to things. this isn’t necessarily bad if you don’t mind all the back tracking, and in a way sort of makes up for the easy puzzles, but for me it just didn’t cut it. I missed having a map (I think only a few had them), and more than that, I missed using the map to fast-travel to locations. Those items were a looot of clicking away. Screw that, I’m sticking my hands in if that key can get me out. And if for some reason I didn’t really want my hands all ashy, I’d grab the nearst thing to get the key out, not go through 50 different things to get to a sweeper. That, however, is a fault all HOG games suffer from (and I do mean all of them), so if you’re into them you should be used to it by now. 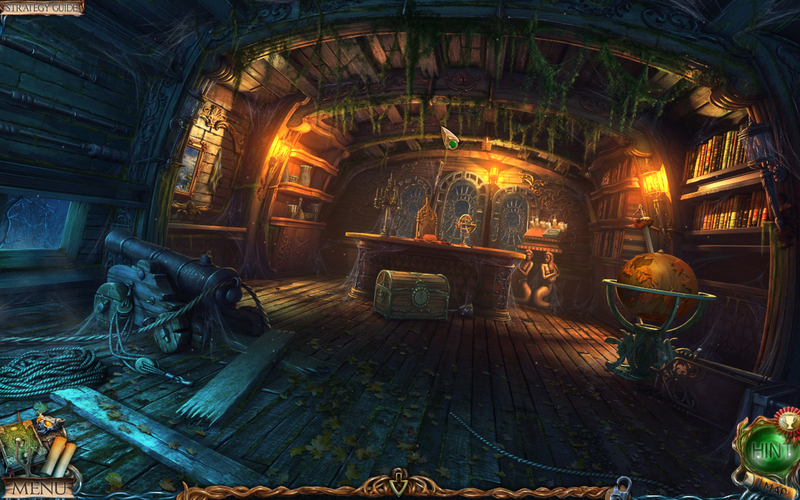 Visually speaking the areas and the hidden object scenes are quite lovely. I liked all the details, the items were neither too hard nor too easy to spot, and they didn’t go out of their way to hide them in ridiculous places, most the time. Characters, however, were rather hit and miss, leaning heavily on the creepy side of ‘miss’. The music and sounds were fairly good too, but the voice acting was truly, truly terrible. 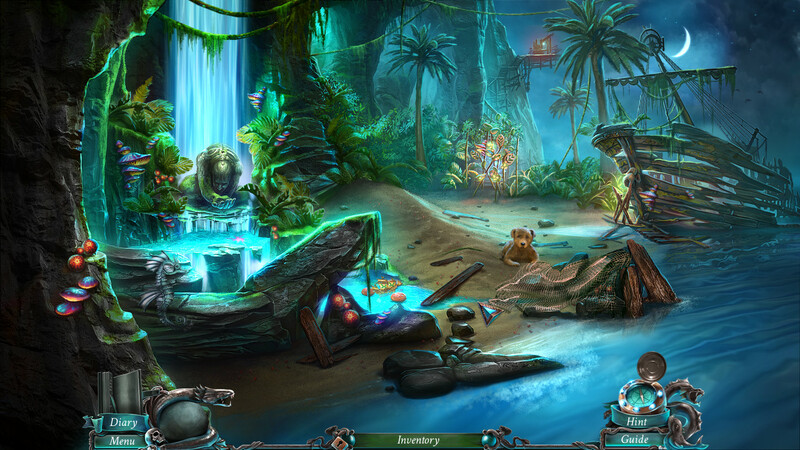 If you’re a fan of Hidden Object games, I would still definitely recommend this bundle despite its shortcomings. If you aren’t, they might still be a good enough place to start, as they are better than the average – and hey! you get 5 in 1! October 7, 2015 January 19, 2017 Laura M.
Game: Ferrum’s Secrets: Where Is Grandpa? Oh man. I wanted to like this one, God knows I love HOG games, but just, no. 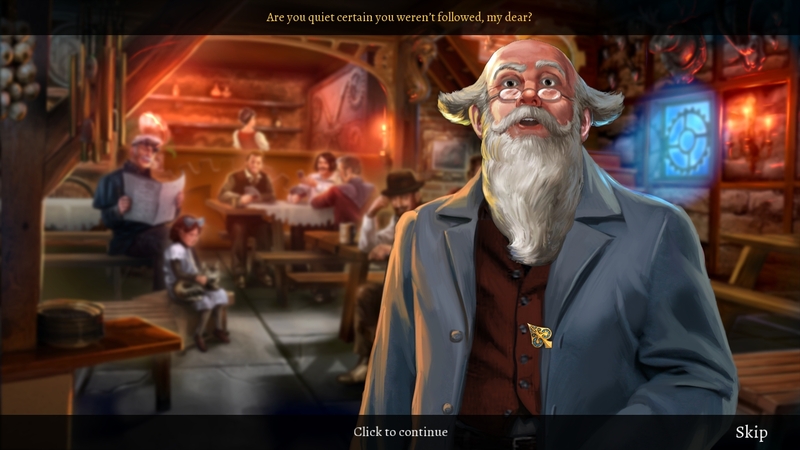 In Ferrum’s Secrets you play the role of some girl who goes look for her grandpa (an inventor) who was apparently abducted by an unknown person for unknown reasons. Okay, to be fair the reasons are kinda sorta disclosed in broken English at some point, I had kind of stopped paying attention by then. The story itself could be a decent typical HOG one, and the game could be an average one as it had a good general idea, but the execution was just awful. From the start the game was annoying: The windowed mode provides no resolution options, leaving you with a window the same size as your screen, making the mode pointless. There is only one option for sound/music – muted or not. If you mute it, you miss out the in game sounds which aren’t too bad, but if you don’t mute it you’re driven insane by the ill-fitting music on the menu. There’s no voice acting, thankfully. The menu itself is unpleasant to look at. The graphics are so-so. They’re done with Unity and are 3D, people look pretty decent, but everything else looks pretty bland and blends in. The 3D adds the annoyance of making the game slow and laggy. The UI/GUI is awful looking, huge, clunky, and obscures clicking areas in some cases. The clicking areas of items is rather specific too, and sometimes you found yourself trying to click an item placed at the end of the screen only to end up in another location because they kind of overlapped. The tutorial is short, in the way, and not overly helpful. You’re thrown into the game with no explanation of what you’re doing there, no intro, no background, no nothing. And while I love the cats, I had started to wonder just how many friggin’ cats did this grandpa had before the girl decided to make me note at last that it was just the same cat (hers) following her around. Most of the story is told through notes or through written dialogue that just goes by too slow in some occasions, and way too fast in others. This would have been easily solvable by allowing the user to click to get past the dialogues. It also needs some major editing because the English in it is terribly broken. Also, it can’t seem to make up its mind if it’s about inventors, magic, or both, as we’re all in a steampunk-like kind of setting at the start and then suddenly there’s this druid/witch like person. Ok? 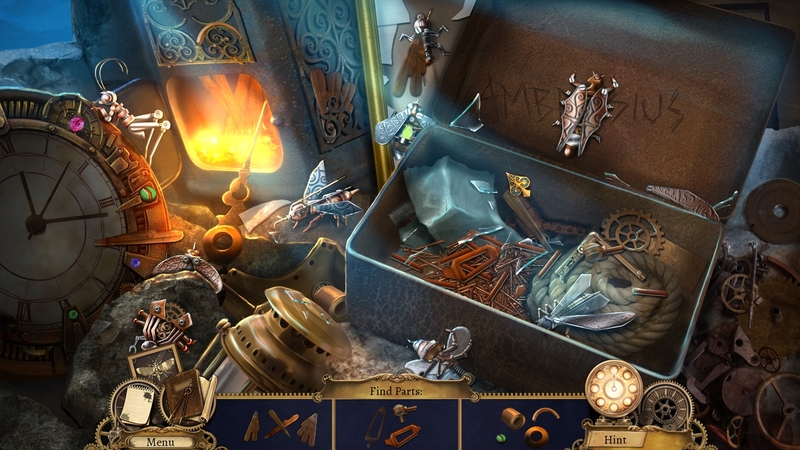 The Hidden Object scenes are boring, either too easy to solve or have words that are a bit weird that made me search for the object for way too long because it wasn’t quite the right word. The minigames have no explanations; granted, most don’t need them as they’re fairly simple, but then there’s a couple where you’re not really sure what you’re supposed to do. At all. And get no help, because… The Hint system is inconsistent. You never know when it will or won’t work. Sometimes it gets stuck in a loop or forces you to an unnecessary step (ie. carrying a light) when there’s no need to, in order to have you progress. 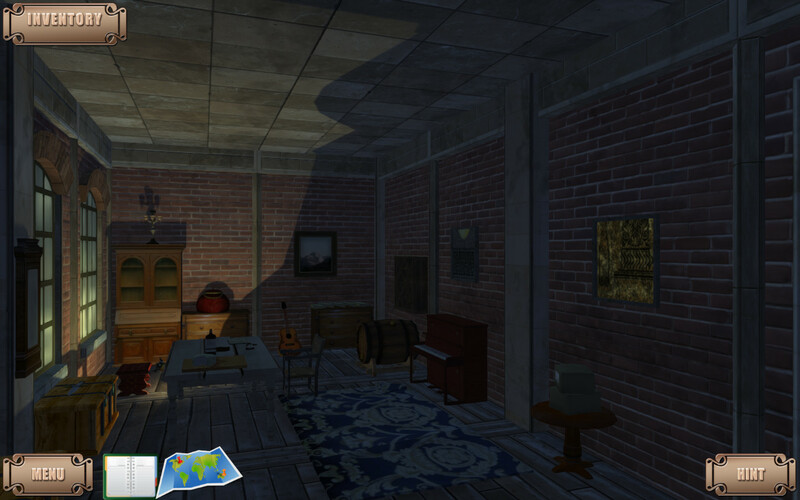 Oh, and finally, the spinning hidden object area was horrible. I was lucky it didn’t last long enough to make me dizzy, but it had some small items to try and click on which moved way too fast as the things spun, which only made the torture longer as I couldn’t click the exact pixel I needed. On the upside, it’s kind of cute that you can interact with a couple objects (bump them aside or tip them over), and you can choose the game difficulty, but it hardly makes up for the hassles. August 29, 2015 Laura M.
Ah, Artifex Mundi, I how I love thy games. 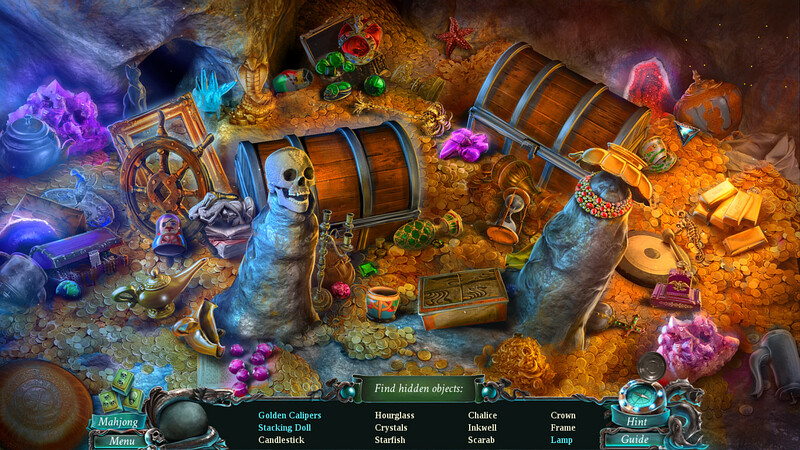 You really know how to make hidden object games! The second part of the 9 Clues Series, “The Ward”, takes place at a psychiatric hospital. You and your partner, both detectives, get a call from a doctor there and arrive to find the caller has died under mysterious circumstances. You must now solve the murder, and the secret of Mnemosyne Asylum. 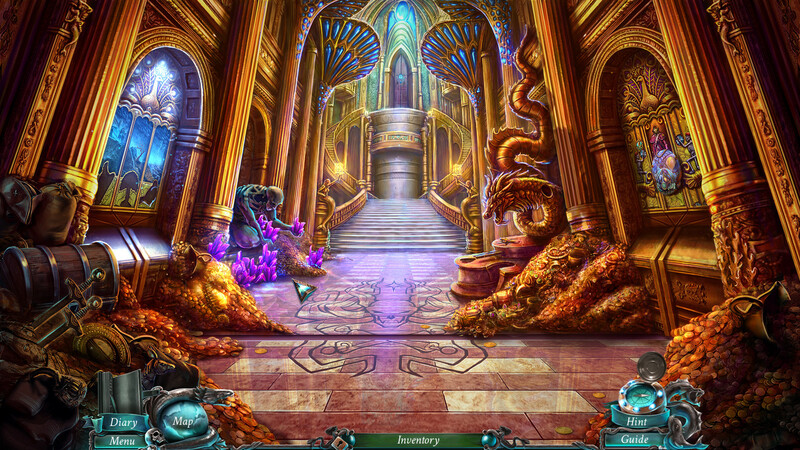 As per usual with Artifex Mundi games, the background art is simply gorgeous and detailed. The character art, when still, is fairly good, however it’s not the best of their games, and the animations are… let’s just say they leave a lot to be desired. It feels a little like they’ve almost gone backwards on this aspect. The music (most times creepy) and sound effects are, as per usual, good; the voice acting is unremarkable, which is good in that it is, at least, not bad. The story isn’t overly original, pretty typical to most HOG games and to Artifex Mundi in particular. 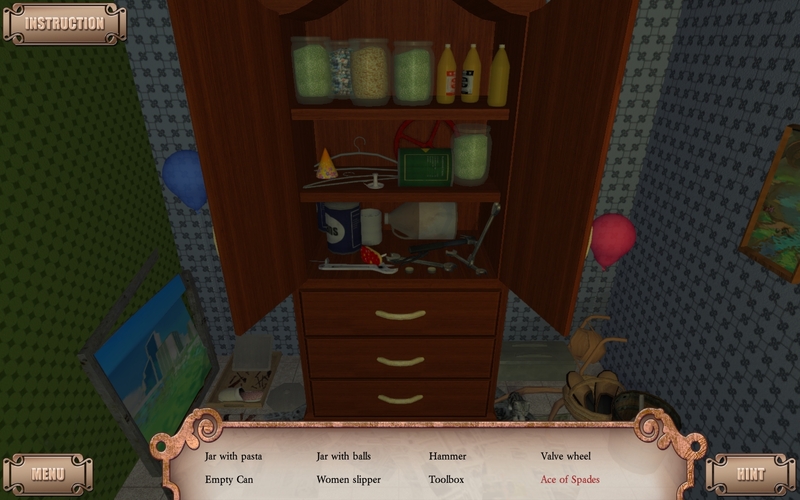 The particularity of the 9 Clues series -and what sets it a bit apart from other HOGs- is the “Detective Mode”; in it, you are made to find a certain amount of clues in the room, and once you do, you are made to put them in order to recreate the sequence of events that occurred there. It’s an interesting change and nice addition to the typical HOG scene, as you’re not really told what you’re looking for exactly, but if you have common sense, it shouldn’t be difficult anyway. While this is not too different from other ‘find the sequence’ puzzles, it’s a nice change of pace. Just like other HOGs from Artifex Mundi, however, it continues to have the same downsides. For instance, you’ll need to find 3 items, but you can’t put one into the puzzle already because you don’t have the other two. Or things are in slightly ridiculous places or require to do slightly ridiculous things when any sane person would’ve just used something else that was handy. You can’t really escape those issues in HOGs, for the most. There was also a very lol-worthy part on the game where you literally find a to-do list on placing a bomb and making it go off. Erm. Seriously? Something I did really enjoy though was that this one had less backtracking to be done. Most the items you needed for any given section were within one or two rooms from where you were, sometimes even in the same one. Still, with Artifex Mundi backtracking hardly makes a difference, as they have fast travel through the map (speaking of which, the map icons aren’t as nice as in their other games, it made me a bit sad). With The Ward, they’ve gone back into allowing you to replace Hidden Object scenes for a game of (wait for it, I can never spell it) Mah Jong. The rest of the puzzles found throughout are fairly similar to their other games, some a bit more challenging than others. There are lots of collectables to be found: phantom objects, clue symbols, model fragments… it was nice, but it also started to get a bit annoying to have to be looking out for all of these. If you’re a fan of HOGs, and a fan of Artifex Mundi, I definitely recommend this one.